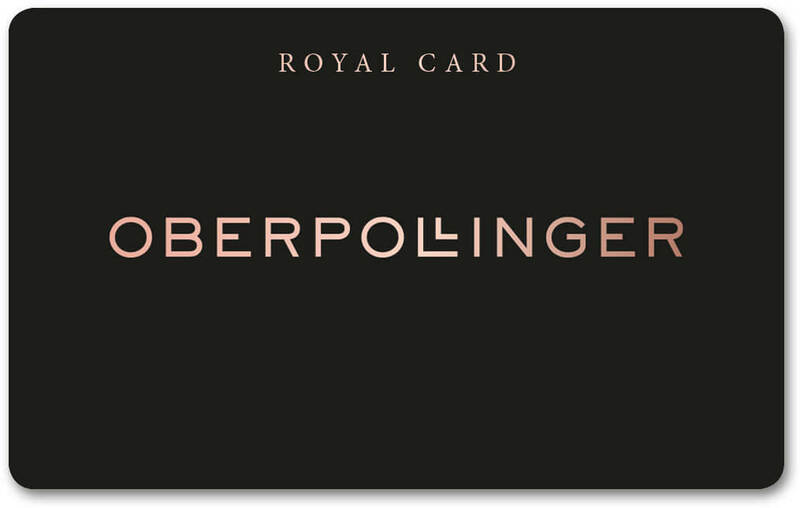 The Oberpollinger Loyalty Card is available in three versions depending on your yearly turnover: Whether Premium, Superior, or Royal – each Loyalty Card offers unique privileges. Apart from invitations to special events such as Pre-Sale events, you get the opportunity to experience the pleasure of exclusive services: whether champagne for you and a guest, exclusive beauty treatments or personal shopping assistance – we want to make every shopping trip unforgettable for you. After sending your application for the loyalty card, you will receive a digital card by email. With the digital card you can collect points immediately. If you wish to obtain a physical card, you can always request it from our customer service in our store. 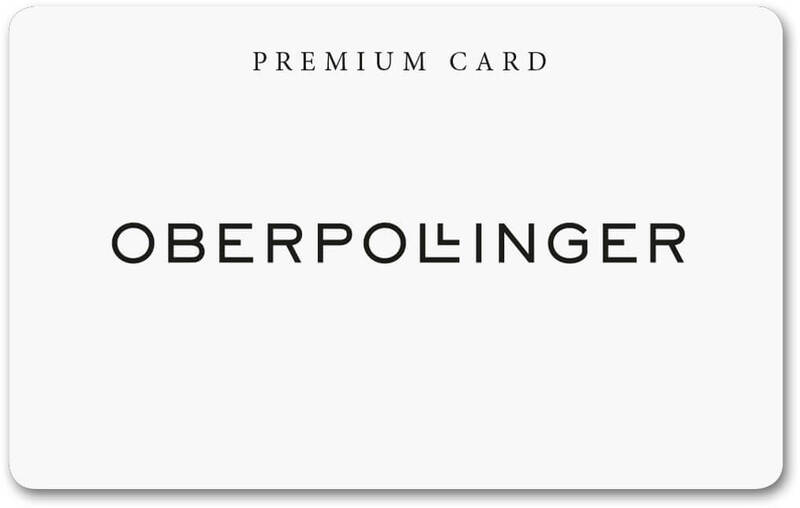 Your customer card lets you earn valuable points every time you shop at a KaDeWe Group store (Alsterhaus, KaDeWe, Oberpollinger). 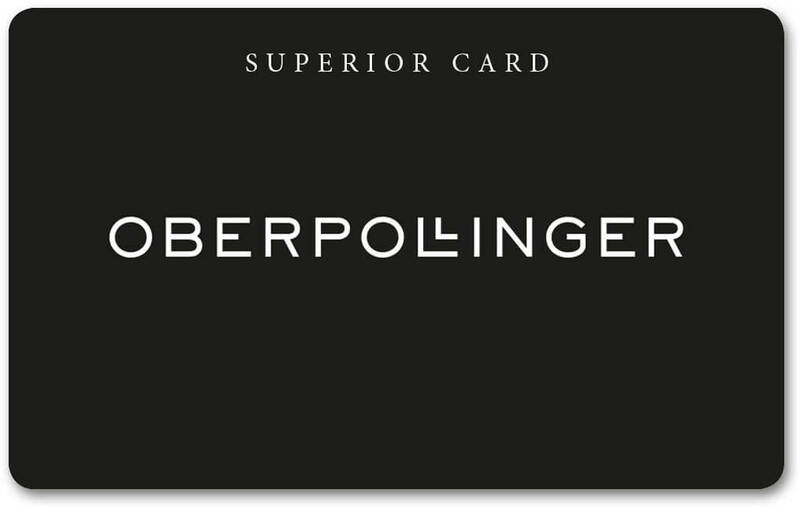 The more points you earn, the more advantages and benefits you receive.1 Depending on the amount of your annual purchases, you will be issued a Premium Card, Superior Card, or Royal Card. Here you can see your loyalty card account. 1 This refers to varying additional services and/or benefits. The KaDeWe Group has a unilateral right to make changes or additions to or to cancel benefits, and can do so at any time if there is good cause. 2 The points program does not apply to services, gift cards, deposits, travel, tobacco products, or published materials, or to purchases made from our tenants. 3 Not redeemable for cash. * Does not apply to tenants, concession shops, multimedia, or food. This benefit cannot be combined with other discounts. A list of exceptions is available at all cash registers.